Next week holds many opportunities for us to have a great time and play with many talented musicians in the area for all your listening and dancing pleasures! On Wednesday, October 23 at 7PM, we'll be performing at Gillies Restaurant in Blacksburg. Come out and try their special for the day…chances are it'll be really good! 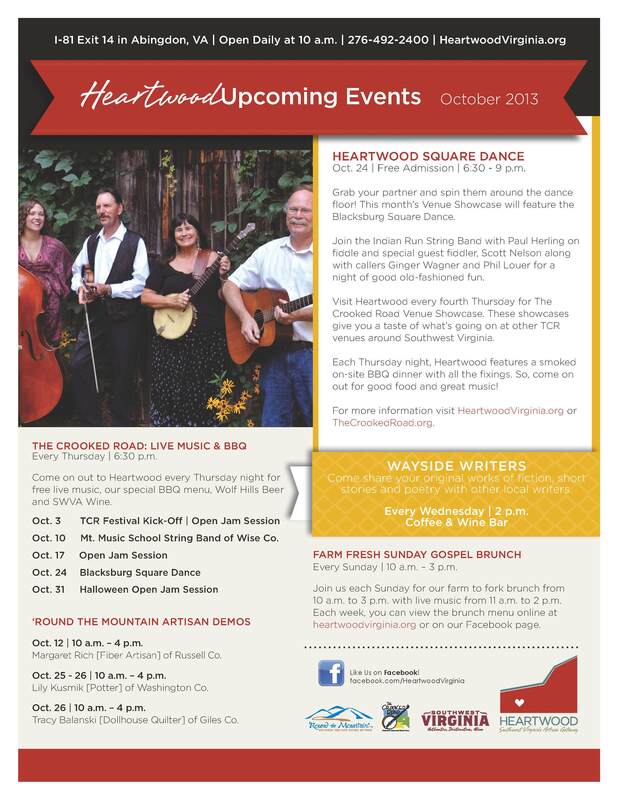 Thursday, October 24 at 6PM, we'll be at Heartwood in Abingdon, VA playing with many other great musicians for a dance. If you havent' been to Heartwood yet, this is a great opportunity to check it out. There are SO many neat things there that exhibit the special things about Southwest Virginia that we all hold dear to our hearts. They also have a fine cuisine (and adult beverages 😉 – check out this great poster!). 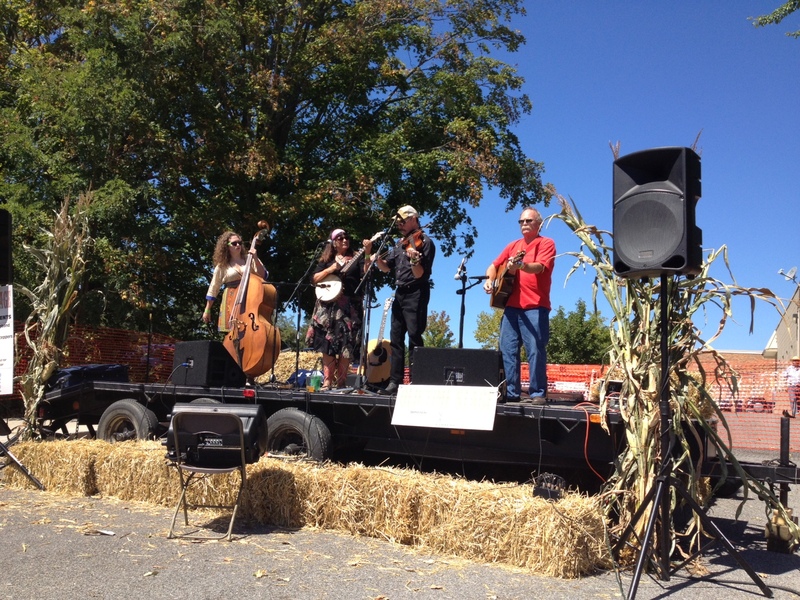 Saturday, October 26 at 9AM, we're playing for SQUASH BASH at the Market Square in Blacksburg. In addition to the usual tables that offer you the best the area has to offer in fresh produce, meat, bread, etc., there'll be much to do about squash! Come out and meet your friends and neighbors! Looking forward to seeing all our fans, friends, and new faces! Thank you to everyone who came out to dance and enjoy the weekend with IRSB – from Our Daily Bread Bakery on Saturday morning to dancing the night away at the Homestead Farm. We want to give a shout out to Kayla from ODBB and Phil Louer for being such an energetic caller at his barn in Riner. Also, we're updating and moving some things around on the website. 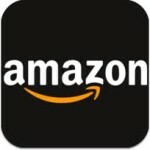 If you like something (or not!) please let us know via facebook or our e-mail (go to the Contacts page). Get thirsty for some more live tunes! After a great time last Wednesday at the Farmers Market Jam and Crooked Road banner presentation, then Sunday at the WVTF station – we took the past few days to recover and make sure we could still make our day jobs (a huge accomplishment sometimes, if you know what I mean)!!! Well, we were certainly honored to be the host band for the jam on the 25th. SO many wonderful supporters of the music and the community came out, and we are enternally grateful for everyone – expecially the wonderful dancers!! Please go to our gallery and see what the festivities were all about. And, go check out the announcement on the Town of Blacksburg website. Sunday, we had the honor to go to the WVTF station in Roanoke (behind the Red Lobsta!) and play on Kinney Rorrer's Back To The Blue Ridge program. We've been listeners of this program for YEARS so, it was a real honor and treat to now be a part of the Back To The Blue Rige family. Our wonderful audience members were so supportive – it can be hard to play to an imaginary audience. When you're on air, you never know who may be listening! Kinney, his wife, Bonnie, and all the staff and volunteers at WVTF were just about the lovliest people we've met. 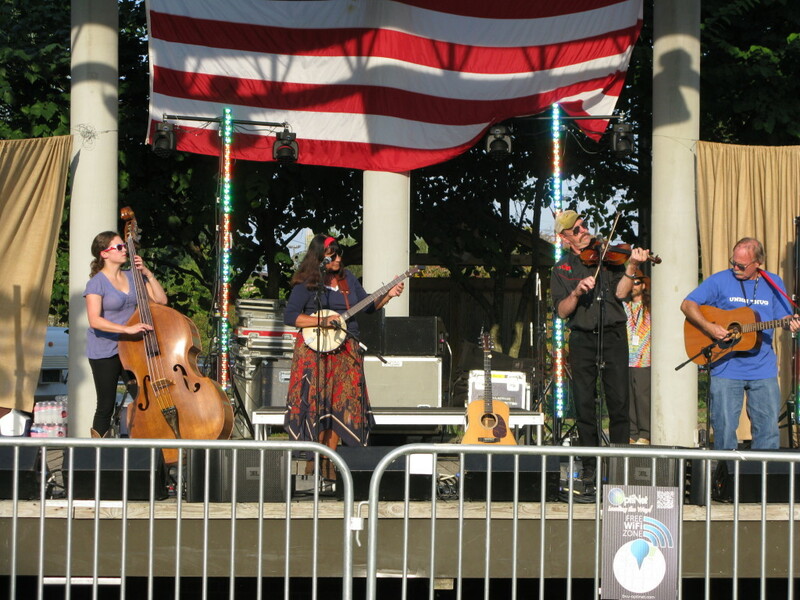 And the Bluegrass band that came after us was really rockin' and rollin' (did you check them out?). We hope our tunes brought in some well-deserved monetary funds. We know many of our friends called in to support the station, and we would like to thank them from the bottom of our hearts for supporting, not just the station, but the culture that each one of us here at IRS has poured our hearts and souls into. Come out to The Homestead Farm in Riner that NIGHT and dance to the beat of your own happiness! Afterall, life is all about attaining happiness…so why not get a little physical with it? We start at 8, don't be late!! Featured Article in the Lifestyle section of the Collegiate Times!! 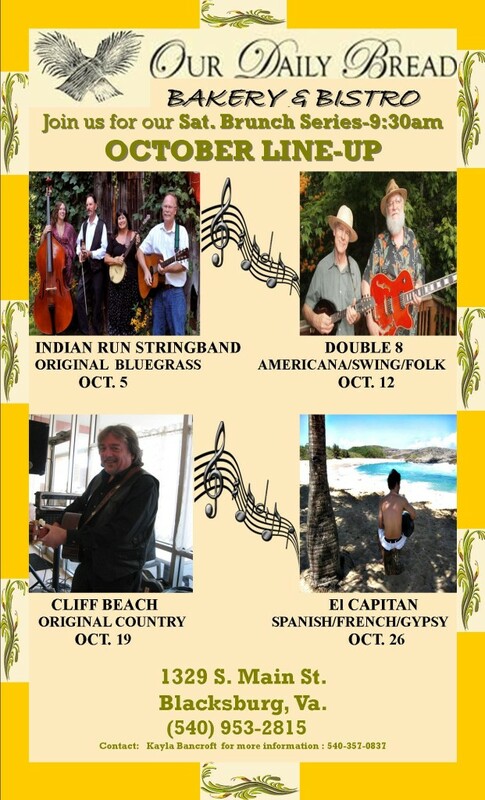 Check out our Post by Indian Run Stringband. And see it here on the Collegiate Times site! Friday at noon, IRS jammed our gear into our trusty car and rolled down I-81 to the birthplace of country music: Bristol, VA. We go to the hospitality center at the old train station with plenty of time to wet our whistle and catch up with some familiar friendly faces, whom we were excited to see again! Our set that evening was spectacular! We were welcomed to the Cumberland Park stage by lovely sound and crew people and were energized to play a lively set by the beautiful (albeit very, very sunny) weather, which persisted for the rest of the evening into the late night. Paul and Ginger sounded like two love birds whilst being backed up by a steady beat laced with gut-punching rolls and licks! After the set, we all enjoyed amazing tunes from our great friends, The Corklickers, as well as amazing artists like Sheets Family Band, Enter the Haggis, and Lucinda Williams. What a night!! Sunday was the day to wind down it all…and finally chug down some water. Didn't go without music, though: The Empty Bottle Stringband, Spirit Family Reunion, Mountain Park Old Time Band, and the great (and little) Carson Peters and his band. With hearts filled to the brim with soul-reviving music, minds rattling with great conversation and pleasantries with friends, stomachs stuffed with delicious comfort food, IRS once again packed the car and headed north to our happy home in Blacksburg. THANK YOU everyone who came out to hear us play, told us that they enjoyed it, and bore the weather to bask in everything the festival has to offer. Great time at the Brew Do….time to get to Bristol!! What a fabulous weekend we had at BrewDo in Blacksburg! We SO appreciate everyone who came out and listened to us (and partook in some delectable brews!). We really appreciate everything the Blacksburg Partnership has done for us and for the other bands who we are honored to share the stage with (Poorhouse Pepsteppers and Dirt Road Kings – sounded phenomenal, guys!). Now, y'all, don't forget to come check us out THIS WEEKEND in Bristol TN/VA!! Well, IRS is back in full swing after a summer filled with guest singers and musicians (we thank them all for their help and willingness to play!!). Our trusty bassist is back from her temporary hiatus and she's here to stay. So what does that mean for you?? Why, many exciting opportunities to come out (or tune in) and listen as we once again dazzle you with jaw-dropping fiddle licks, lung-punching banjo picking, face-slapping guitar runs, and soul-vibrating bass slapping. We'll announce each show, but there are some very special events that we wanted to draw your attention to in advance! Next weekend, September 20-21 we'll be at Bristol Rhythm and Roots!! Friday night at 5:45 in Cumberland Square Park. Saturday at 4:15p at O'Mainnins Pub. There may even be some special guest stars!!! Wednesday, Sept 25, we'll be playing at the Market Square Jam. You will NOT want to miss this opportunity to come out and play with us and mingle with other stupendous artists in the Blacksburg area. 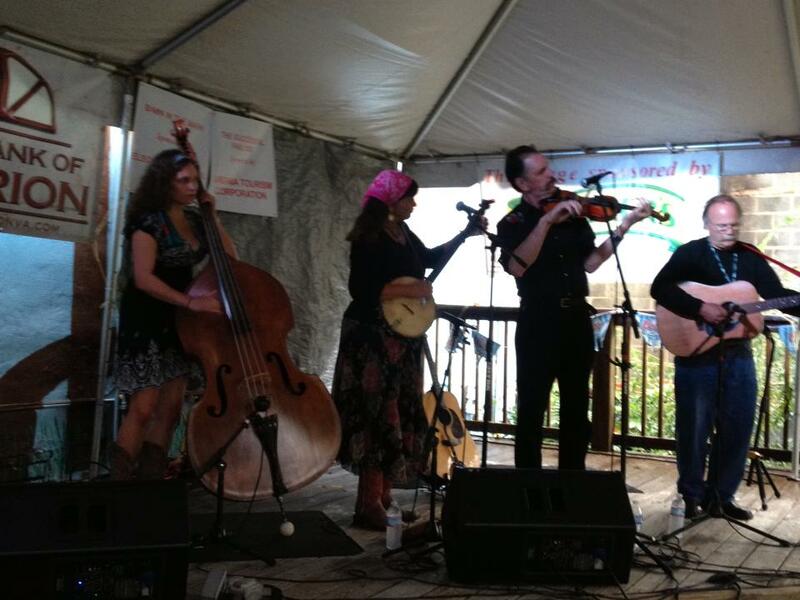 Sunday, Sept 29 at 2p, TUNE IN to WVTF (http://wvtf.org/programs/back-blue-ridge-wvtf) to hear us on Kinney Rorrer's show!! We are SO excited to be playing on Public Radio, you won't want to miss this listening opportunity. October 5, we're at Our Daily Bread in Blacksburg in the morning, so come on out and have your breakfast (or brunch) with us. That evening we're playing the square dance/barn dance so come thrill us with your dancing skills (http://www.daretobesquare.org/). Phew!!! 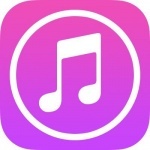 SO, plenty of opportunities to listen to your favorite Old Time band – whether it's sitting at home on a Sunday afternoon listening to NPR or coming out on a Saturday night to dance the night away. The next few weeks, there are plenty of opportunities to come see and hear us live!